Two posts in one day! That’s a first (I think)! One post with the spotlight on my little Charlotte, and now a post with the spotlight on my little Paityn. Last week, Paityn started preschool! This is actually her second year at preschool, but first year at preschool in Toronto. Paityn has always LOVED being around other kids! When I dropped her off for her first day of preschool in California last year, she was only 2 years old and all I got was a wave goodbye and off she went with no fear. She was enrolled in preschool two days a week and started at about 8am and didn’t finish until 5:30pm, but she never wanted to leave when we went to pick her up, despite the long day. By June, Paityn was going to school three times a week, but if it were up to her, she would have been there every day. 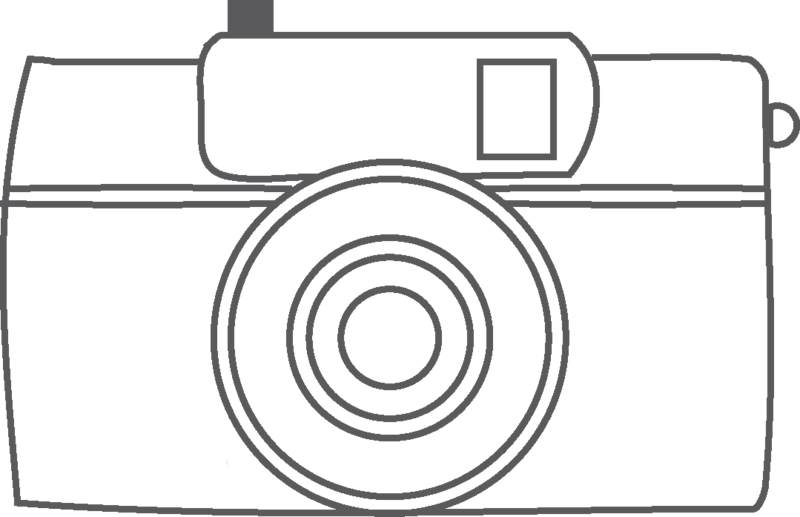 Fast forward to July… we move to Toronto and Paityn starts summer camp 5 mornings a week. Again, I was pretty much invisible when I dropped her off, as she ran off to play with her friends. However, when I went to pick her up, I always got a huge smile and happy “Mommy!! !” greeting as she ran towards me to give me a hug. Fast forward to last week when she started preschool in Toronto, 3 full days a week… she was happy to go to school, but not as excited as she had once been. This morning when I dropped her off, she didn’t want me to leave and held tight to my leg. I don’t know if it’s just that the school isn’t as good (her California school was wonderful – I was sad to leave it), or she’s entering into a new stage, but whatever it was, it made me sad. I want her to love school! I’m sure she’s having a great day today and I shouldn’t worry, right?! 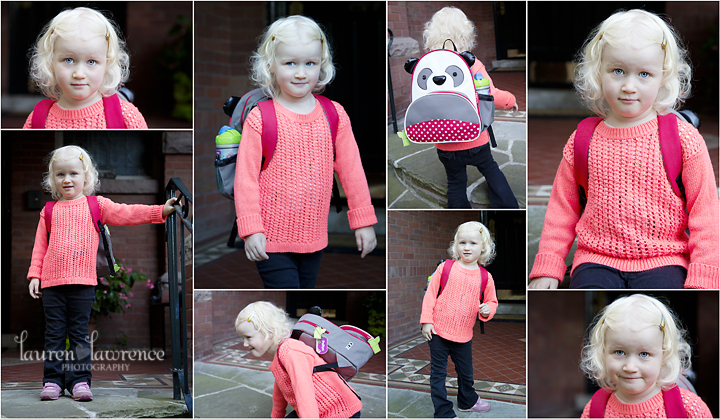 Here are some photos I took of Paityn last week before she went to her first day of preschool in Toronto. I always say time flies, but the past two months went by so quickly that I somehow forgot to blog about my sweet little Charlotte turning 8 months old. With our big move and our incredibly busy social calendar here in Toronto, Charlotte’s 8 month photo never made it up on the blog 😦 But do not fret! 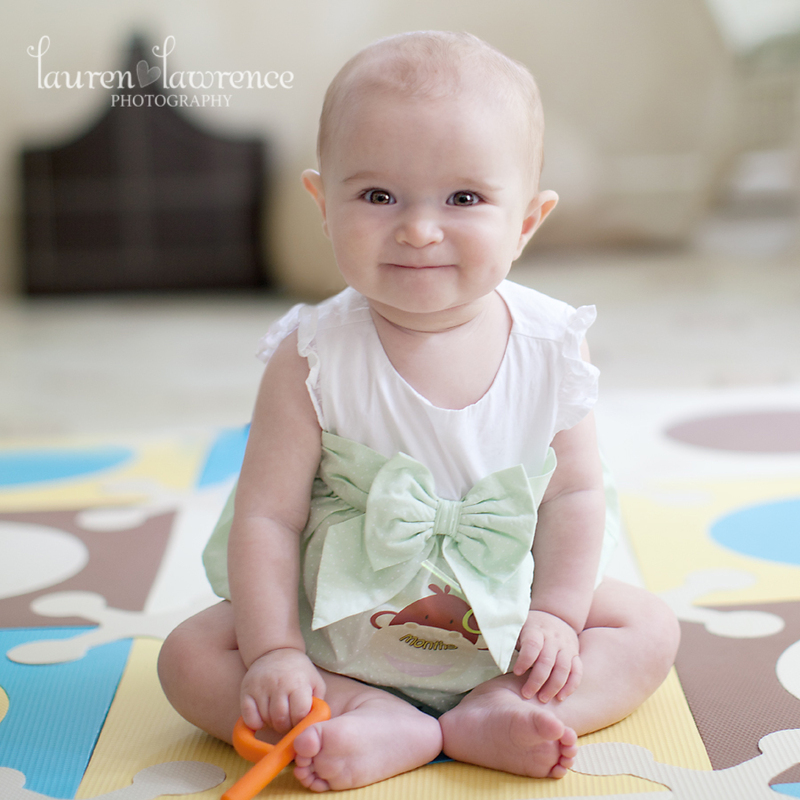 I DID take her 8 month photo when she turned 8 months, and I also took her 9 month photo yesterday when she turned 9 months. Now she’s crawling, talking (seriously talking…not just babbles…she says “Dada” when she’s talking to her daddy, “Mama” when she talks to me, “Ba Ba” when she waves goodbye to people and even “Poo Poo” a couple of times) and just enjoying life to the fullest! 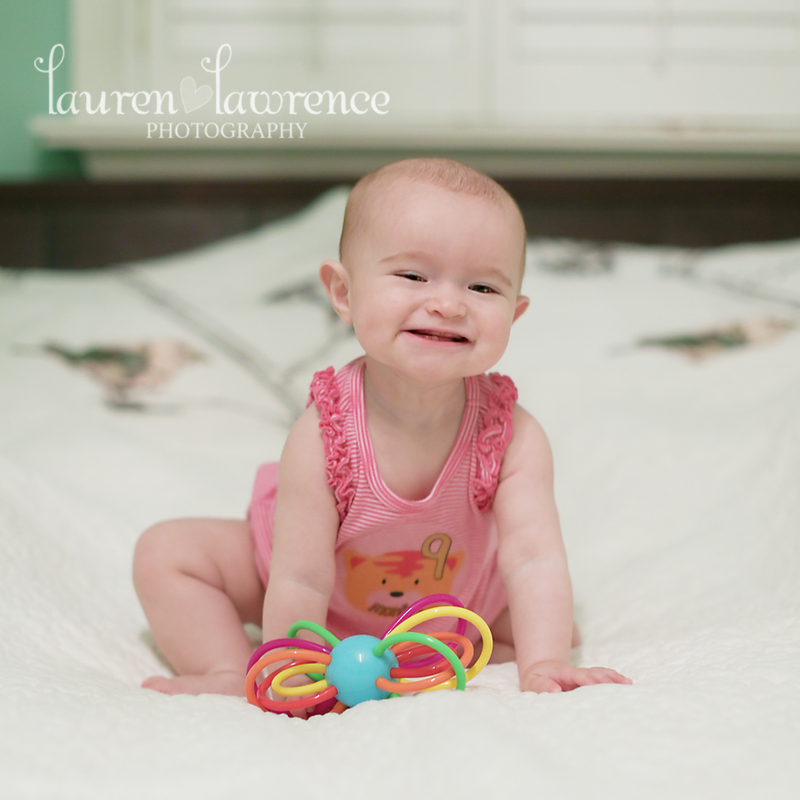 I have never met a more happy baby and her and her big sister, Paityn light up my life every single day! Happy 3/4 of a year, little one!